Mark your calendars for an event that will be out of this world! 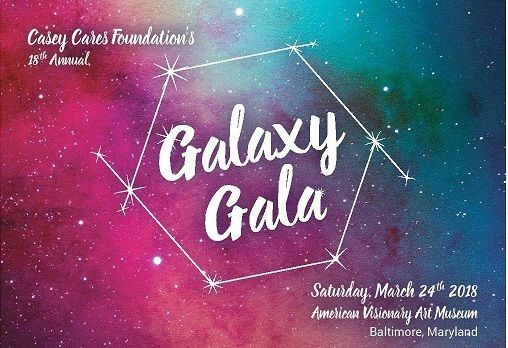 The 18th Annual Casey Cares Galaxy Gala, is set for March 24th, 2018, at the American Visionary Art Museum in Baltimore. This fabulous annual event features a cocktail hour with live jazz, premium open bar, seated dinner, dancing, live and silent auctions, and much more. Our gala remains a must attend event for the hundreds of donors, business leaders, board members, and media representatives that have made this event such a success for over a decade. Purchase your tickets HERE. Last year’s event sold out, buy your tickets now! Proceeds from the gala directly benefit Casey Cares Foundation’s programs for critically ill children and their families. 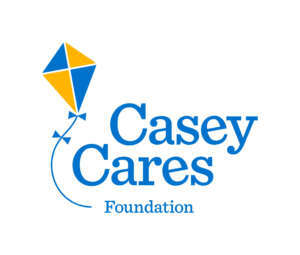 Founded in 2000 by Casey Baynes, the Casey Cares Foundation prides itself on working with the entire family, especially siblings of children diagnosed with critically ill kids, and helping these families enjoy quality family time together.